Just in time for the spring turkey hunt, the Michigan Department of Natural Resources and the National Wild Turkey Federation will unveil a new Turkey Tracts location with an event at the Holly State Recreation Area Saturday, April 13, at 11 a.m. The event, just before the April 22 spring turkey season opener, will feature DNR upland game bird specialist Al Stewart, representatives from the National Wild Turkey Federation and many others who have been actively involved in the Turkey Tracts program. Those who would like to attend the kickoff event are asked to RSVP to DNR-Wildlife@michigan.gov by April 12. Directions to the event are below. Take I-75 to the Grange Hall Road Exit (Exit 101), go east on Grange Hall Road to McGinnis Road (Holly Recreation Area), then east on McGinnis Road to Jossman Road and north on Jossman Road to the first parking lot on the west side. A number of awards were presented at the 2019 Michigan State Chapter Convention held January 18-19, 2019 at the Holiday Inn, Big Rapids. Awards were presented to NWTF local chapters as well as individuals. Click here for a list of the winners. Perhaps many Michiganders have never heard of a Turkey Tract, but they’re gaining in popularity as the Michigan Department of Natural Resources opened its third such site last spring at the Barry State Game Area, near Middleville, in Barry County. Now that you have finished your turkey hunting for this year, the DNR invites you to report your hunting activity online. The information you provide will help to evaluate hunter success and total harvest. It’s important for all turkey hunters to participate, even if they do not hunt or harvest a turkey. You can find the turkey harvest survey on at michigan.gov/turkey. Survey results will be posted as soon as they are available. Want a memento of your turkey hunt? Interested hunters and collectors may purchase the 2019 Wild Turkey Cooperator Patch for $5. The NWTF has released Michigan's "Report Card" highlighting the accomplishments of Michigan chapters and their contributions towards the "Save the Habitat. Save the Hunt" initiative. Click here for the full report. R3 is the nationwide effort to recruit new hunters, retain the hunters we currently have, and reactivate hunters that have left hunting. 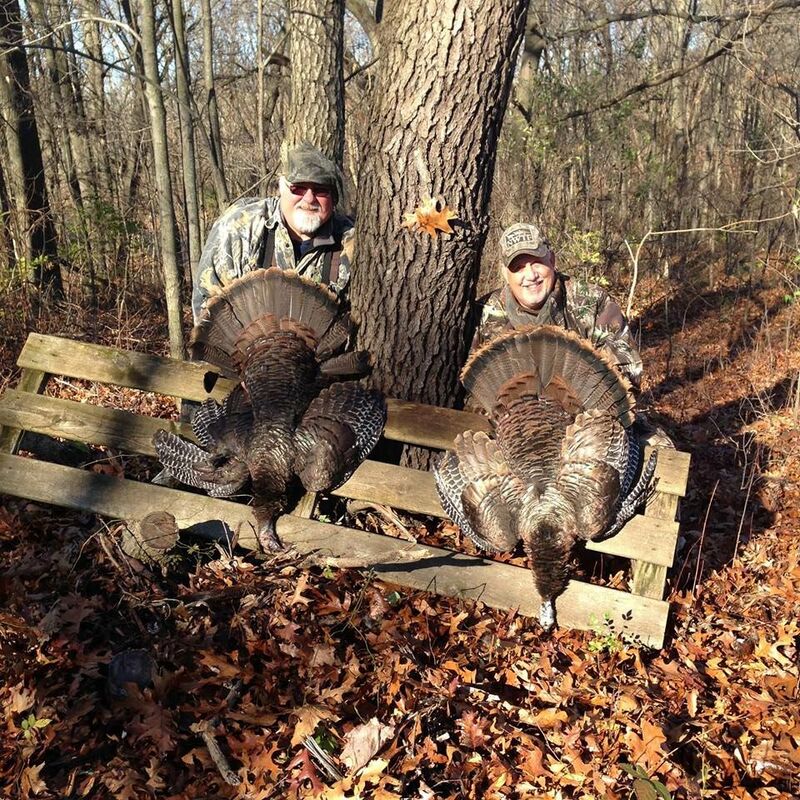 NWTF is taking the lead at the national and state level. Steve Sharp is Michigan's R3 Coordinator and leads the effort to help meet the national goal of 1.5 million new hunters over ten years, 200,000 of those in Michigan. How can you help? One thing you can do is to mentor a new hunter, the next step is to report it. One of the biggest hurdles is counting all of the new hunters that NWTF members mentor every year. Use the links below to report your R3 event, report a mentored hunt, or just find out what R3 is all about. Michigan NWTF leaders have released the strategic plan for the "SAVE THE HABITAT. SAVE THE HUNT." initiative in Michigan. Click here to see an outline of the strategic plan. The NWTF Michigan State Chapter would like to congratulate Emily Barnhart from the Beaver Creek Chapter on being the scholarship winner for 2018. Emily received a check for $2500 at the NWTF State Convention in Big Rapids, January 18-19, 2019 (photo). 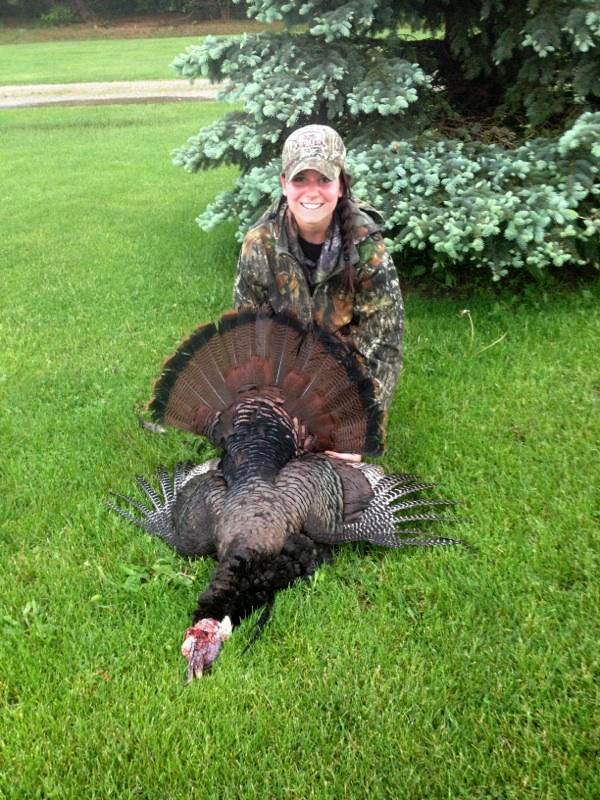 Scholarships are available through local Michigan NWTF chapters that have scholarship programs. The deadline to submit an application to a local chapter is January 1. Scholarship application can be found by clicking here. Click here to find out more about the NWTF scholarship program. Details about the 2018 efforts to Save the Habitat. Save the Hunt., in Michigan can be found in the Initiative Report. Click here for more information. To learn more about Michigan's plan to Save the Habitat. Save the Hunt. view our Strategic Plan. There’s an old saw about how you learn new skills – you learn by doing. That’s the focus of the “Learn to Hunt” program, a partnership led by Michigan State University, with assistance from the National Wild Turkey Federation, the Boone and Crockett Club, Pheasants Forever and the Michigan Department of Natural Resources. Turkey Tracts are unique turkey hunting areas across the Lower Peninsula that provide great hunting opportunities for a variety of hunters, including youth, adults new to the sport and seniors. 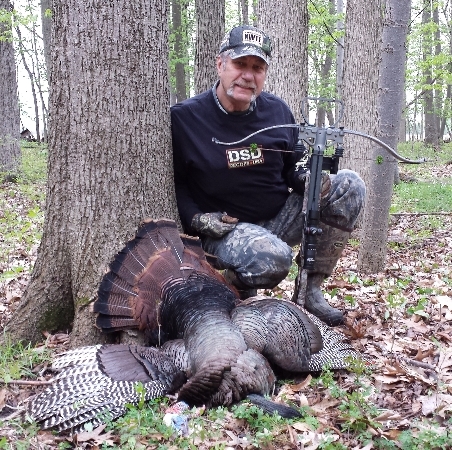 The Allegan Turkey Tract opened to turkey hunting in spring 2016. The Flat River Turkey Tract opened in August, 2017 at the Flat River State Game Area in Montcalm County, and the newest Turkey Tract was unveiled at the Barry State Game area in April, 2018 (see below). The Turkey Tracts program is patterned after the successful Grouse Enhanced Management Sites (GEMS), located in northern areas of Michigan. On Friday, April 13, the National Wild Turkey Federation and the Michigan Department of Natural Resources introduced the third Turkey Tract in southern Michigan at the Barry State Game Area in Barry County. The new Turkey Tract location is off M-179 (north side) just west of Yankee Springs Road, at 8386 M-179 in Middleville. A large kiosk, giving hunters area information and local business discounts, was unveiled at the new Turkey Tract site. Surrounding businesses provide a discount when hunters take a “selfie” with the kiosk. “Turkey Tracts are designed to promote and highlight public access to quality turkey hunting, educate the public of ongoing habitat management and the impacts on wildlife and people, and build a connection with the users of these Turkey Tracts and local community businesses,” said Ryan Boyer, district biologist for the National Wild Turkey Federation. Wild turkeys are found in all 68 counties of the Lower Peninsula and most counties in the Upper Peninsula, where the species has continued to expand its range. In 1977, only 400 turkeys were taken during the Michigan hunting season. However, by 2014, annual numbers of turkeys taken had reached 30,000 birds. 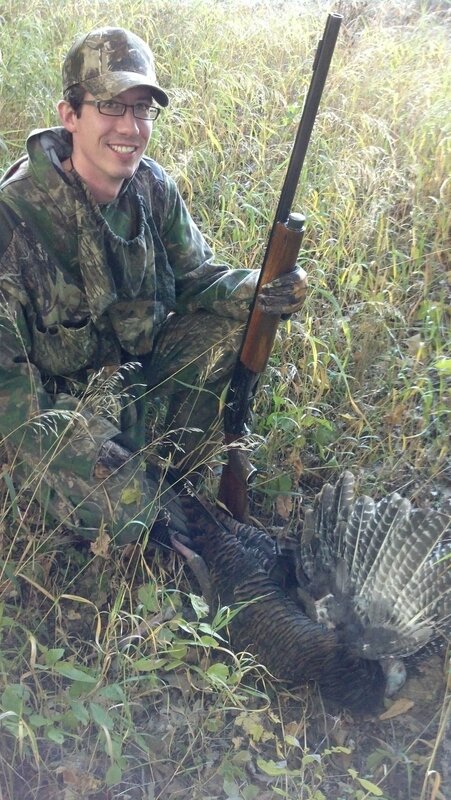 Michigan is now ranked eighth in the nation for number of turkeys taken by hunters. Boyer gave a tour of the new Turkey Tracts area, describing habitat management practices that benefit turkeys and other wildlife within the game area. Management practices include timber cutting, selective use of herbicides, invasive species treatment and removal, selective annual and perennial plantings, and prescribed burns. Boyer also spoke on the importance of partnerships. “Because of the partnership NWTF has with the DNR and local supporting businesses, we are able to make these Turkey Tracts happen which allows hunters to experience turkey hunting in a way they may not have been able to in the past,” he said. A new oak savanna project has been completed at the Allegan State Game Area. Michigan NWTF in cooperation with the DNR restored 200 acres of oak savanna habitat across three sites within the Game Area. Signs that recognize NWTF's help in this project were recently erected at the sites.